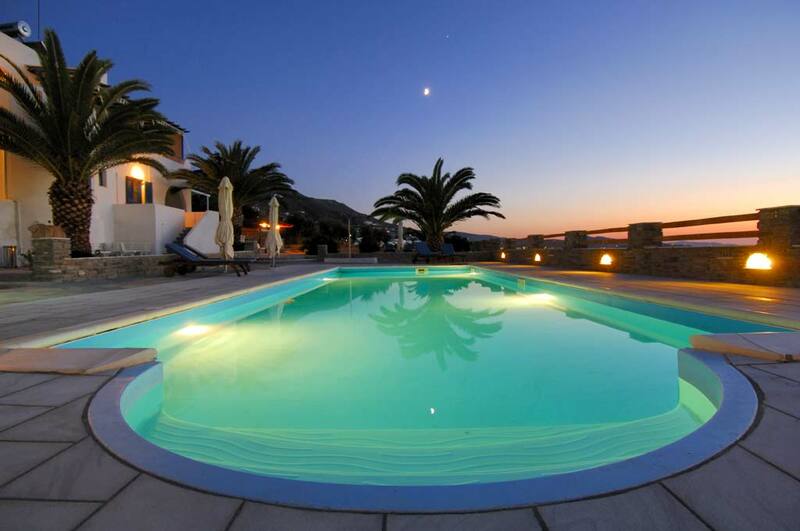 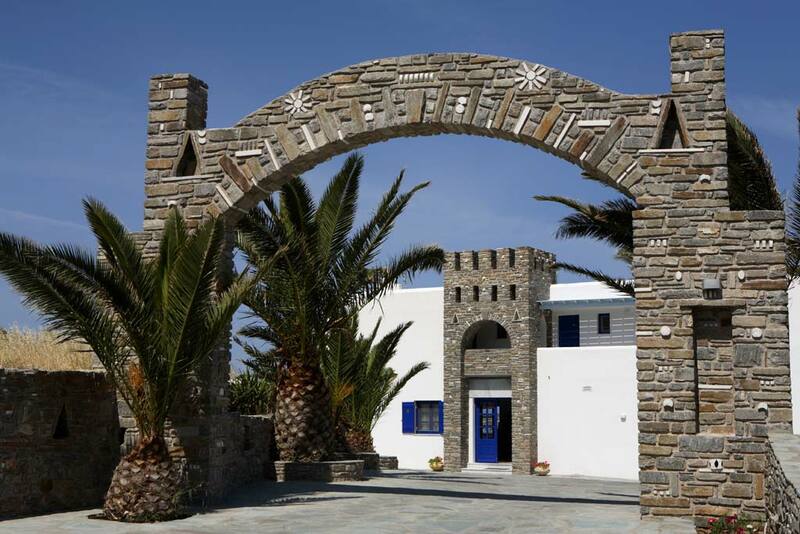 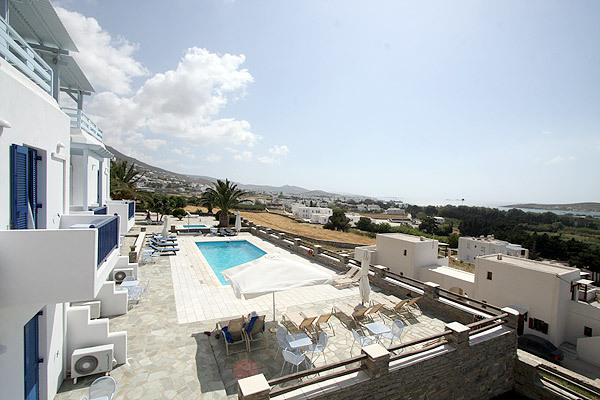 Overlooking the port of Parikia, Pyrgaki hotel in Paros, Greece is a 4 star category with Aegean architecture blending wonderfully with the landscape along one of the most beautiful places in Paros island. 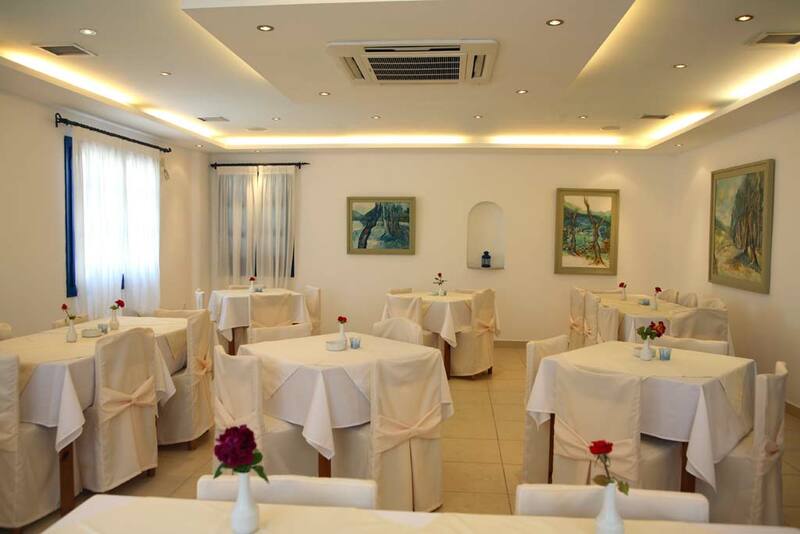 Warm hospitality, suberb cuisine and complete peace and tranquility in the most convenient location are just some wonderful attractions of the hotel. 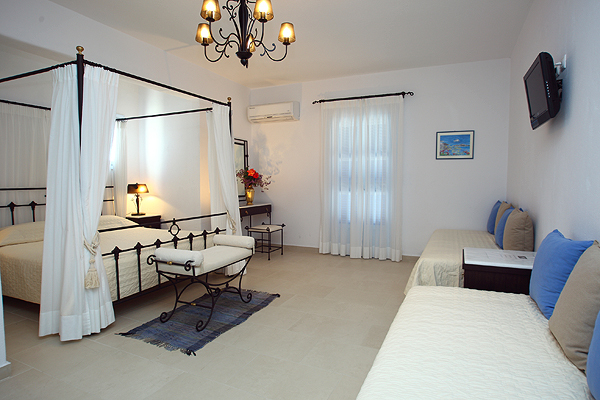 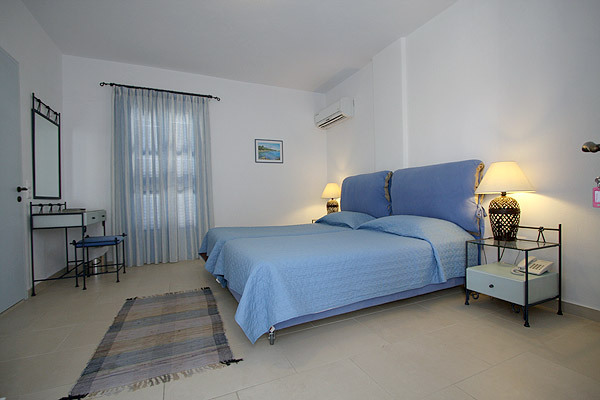 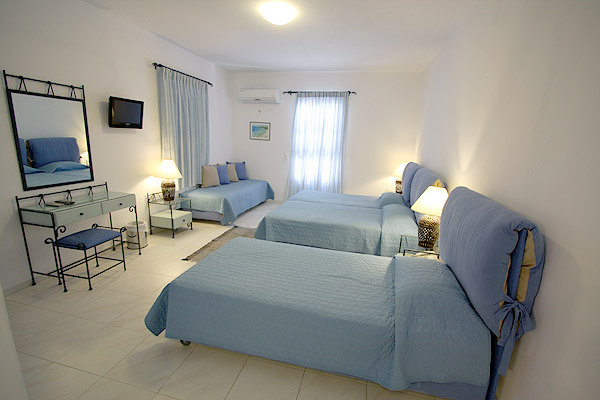 Pyrgaki hotel complex of 4.000 m2 consists of 25 air-conditioned rooms that are allocated in 4 buildings. 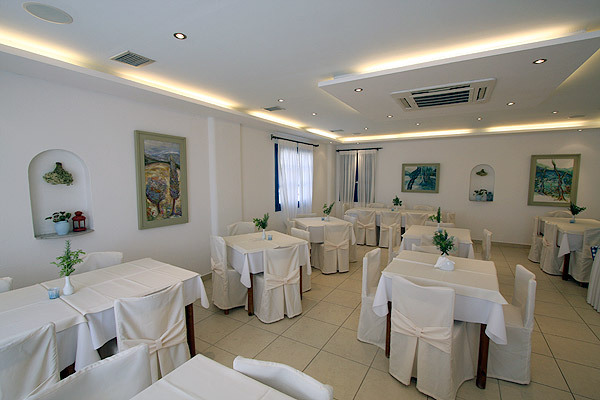 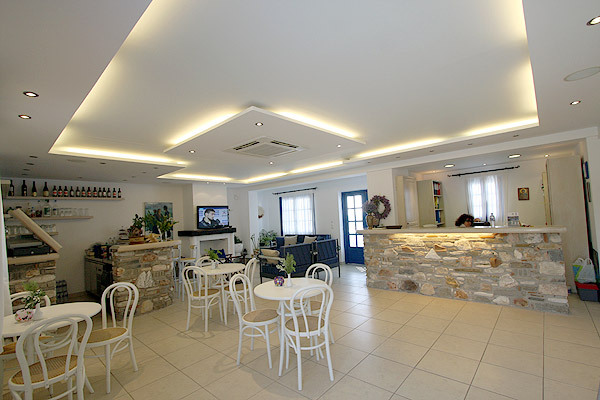 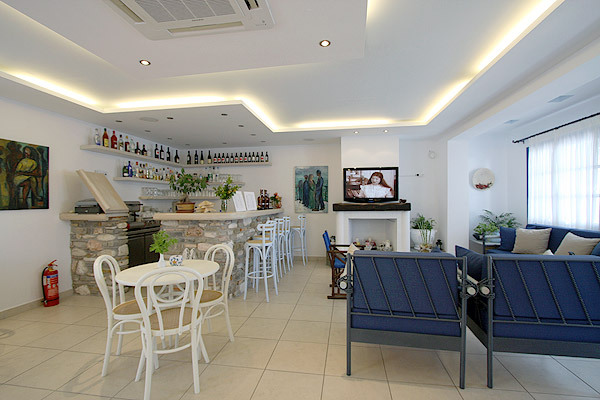 The main building disposes of an air-conditioned restaurant with 65 seats, a restaurant outside with 30 seats and very nice view of the swimming pool, Parikia town, Port and the sea. 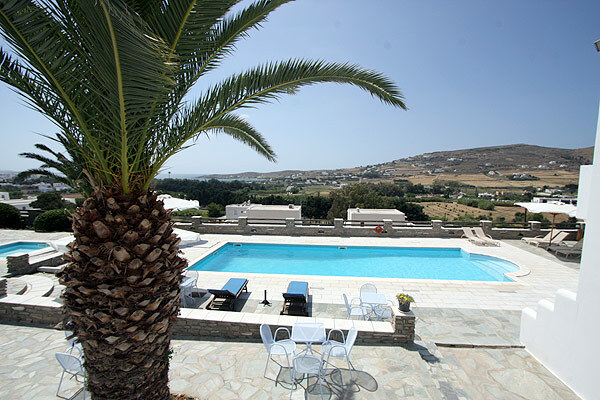 In the outside complex you can find the Snack-Pool bar, 2 swimming pools (one for children) and a small chapel (weddings, baptismal ceremonies, etc). 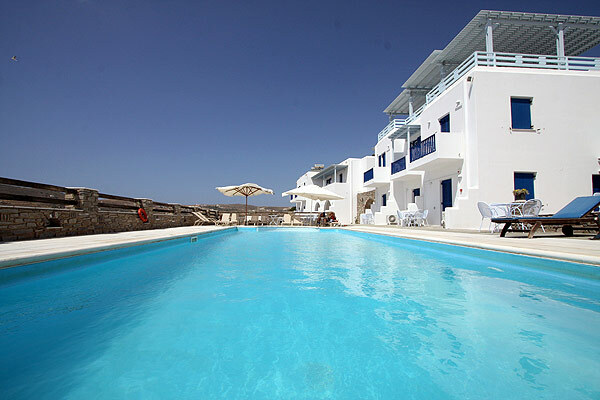 Sun beds and umbrellas at the pool are free of charge. 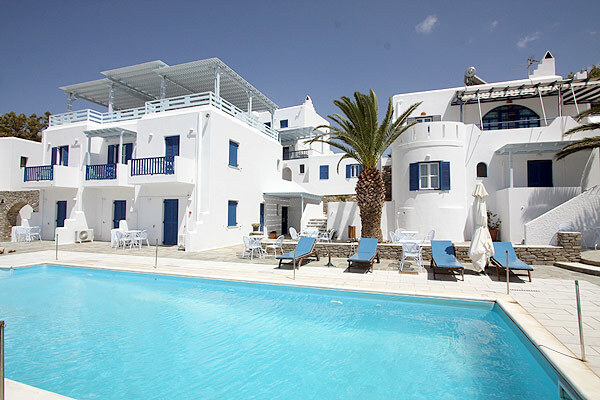 Transfer services from/to the airport, port and beach with hotel private minibus. 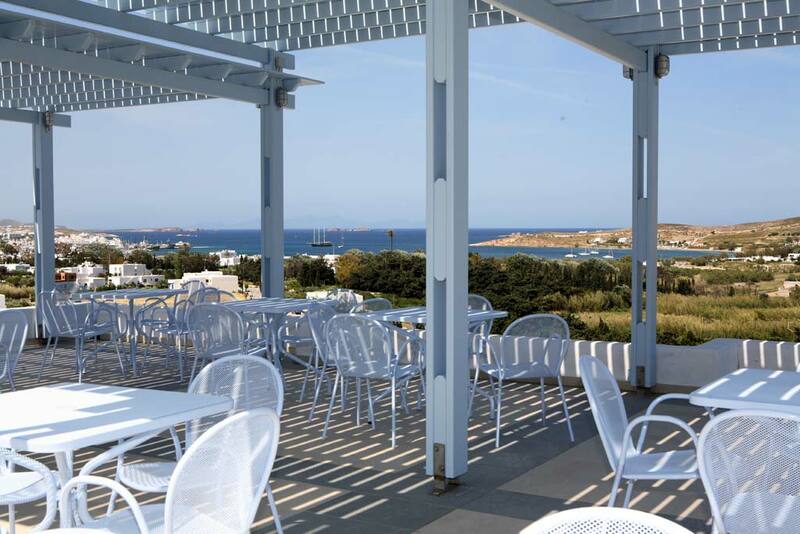 A rich breakfast buffet is served every morning in the breakfast room or on the outdoor veranda from 7.30 a.m. until 10 a.m.